Harsh Vardhan also said a report has been sought by his ministry over the killing of Avni, who is believed to be responsible for the deaths of 13 people in the past two years. 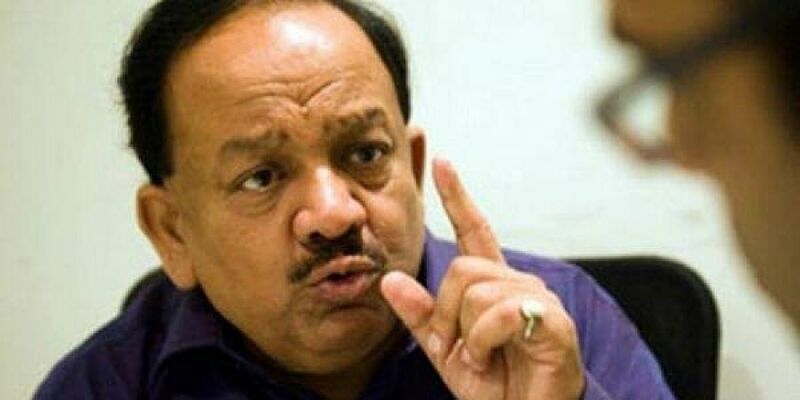 NEW DELHI: No previous government has worked with the kind of "depth and seriousness" this dispensation has, Union Environment Minister Harsh Vardhan said Monday as he hit back at Congress president Rahul Gandhi's barb at the Centre over the killing of tigress Avni. The government does not need a certificate from Rahul Gandhi, Vardhan said. He said a report has been sought by his ministry over the killing of Avni, who is believed to be responsible for the deaths of 13 people in the past two years, on Friday as part of an operation in Maharashtra's Yavatmal district. Earlier on Monday, Rahul Gandhi tweeted, "The greatness of a nation can be judged by the way its animals are treated. Mahatma Gandhi #Avni." "The central government does not need a certificate from Rahul Gandhi. The kind of seriousness, depth and honesty that the central government works with, I think no other prior government has done it like this," Vardhan said on the sidelines of an event. Asked if his ministry has sought a report, the Environment Minister said, "This is a natural process. Whenever there is any incident, report comes to the department." Women and Child Development Minister Maneka Gandhi Sunday lashed out at the BJP-led Maharashtra government over the "ghastly murder" of the man-eating tigress, calling it a "straight case of crime". Maneka Gandhi had said she was deeply saddened by the way the tigress was brutally killed. "It is nothing but a straight case of crime. Despite several requests from many stakeholders, (Sudhir) Mungantiwar, Minister for Forests, Maharashtra, gave orders for the killing," she said in a series of tweets. She said she is going to take up the matter "very strongly" with Maharashtra Chief Minister Devendra Fadnavis. Mungantiwar said on Monday that Maneka Gandhi "lacks information" on the issue and can order a high-level probe if she so desires. The killing of Avni, who is survived by her two cubs who are 10 months old, has also been criticised by animal and wildlife bodies. Animal rights body PETA India said Saturday the killing of a tiger as part of an operation in Maharashtra should be investigated and treated as a wildlife crime and termed it a "dark day" for the nation. People for the Ethical Treatment of Animals (PETA) India said Avni was killed "illegally to satisfy a hunter's lust for blood", in contempt of court and in apparent violation of the Wildlife Protection Act.